According to a recent survey conducted by the Australian Bureau of Statistics, over 60% of Adult Australians live a mostly sedentary lifestyle. In short, this means that more than half of our population spends a lot of time sitting down. This may be at home or work, and can actually be counteracted by purposeful participation in physical activities outside this sedentary time. If you do have a job that involves sitting down more often than moving, then it is of high importance that you make an effort to get out and get active for at least the 30 minutes of recommended physical activity each day for the benefit of your health – both physical and mental. The hardest part about this is often the excuses we find to prevent us getting out the door. Like our physical fitness, our mental side needs training just as much and practice in helping fight the ‘good’ fight, so what can we do? Let’s look at a few of the more commonly used excuses and how we can learn to get past them. The weather – Too hot, too cold, too windy, it’s raining, etc. – are all excuses. There is no reason why you can’t get out the door for a run or other workout in these conditions. Learn to counteract the weather excuses by being prepared. For example, if it’s hot you can run early in the morning, wear a hat/protective clothing, take more water with you or adjust your session length. If it’s raining, wear a hat to keep water out of your eyes or off your glasses and maybe a waterproof jacket. If it’s cold, rug up with extra layers. You can even do a workout inside in the air conditioning or under cover outdoors to escape the elements. Tiredness – Yes, you may be tired, but to be honest who isn’t these days? We’ve all been there. Pre-empt this excuse by getting to bed early the night before you’re getting up at stupid-o’clock for a run. If you find you’re tired at the end of a work day and don’t feel like a workout in the evening, exercise at lunch time or before work. If you fight this excuse enough you will actually find that you feel more tired on the days you don’t exercise. Low fitness – Yep, most of us have been there at some point – being unfit, which is exactly why we need to get out the door! Start with something lower impact in the beginning to get you moving – walking, swimming, yoga, anything to start building your fitness. Everyone has to start somewhere, the most important thing here is to just start! Try asking a friend to meet you to keep you accountable and help get you out the door. The kids – Having no one to baby sit the kids is a big one, but you can work around it. If an exercise DVD is not your thing, try incorporating the kids into your exercise regime. If they are little, push them in a pram, take them along on a scooter, let them play in the backyard while you run laps, or simply wait until someone else is around to take them off your hands for half an hour. Everyone who has kids will tell you they are tired, but as I said before, if you can fit your regular physical activity in, you will feel a whole lot less tired. No time – These days, society ensures that we are time-poor. We are all working harder, yet not necessarily smarter, even though we know we should. At the start of each new week, combat the ‘time-poor’ excuse by sitting down and looking at your schedule. Plan around meetings, work, kids’ activities, functions and slot exercise sessions into your diary. If you schedule it in, then you are more likely to make it fit into your day rather than just hoping you will head out the door on a whim. 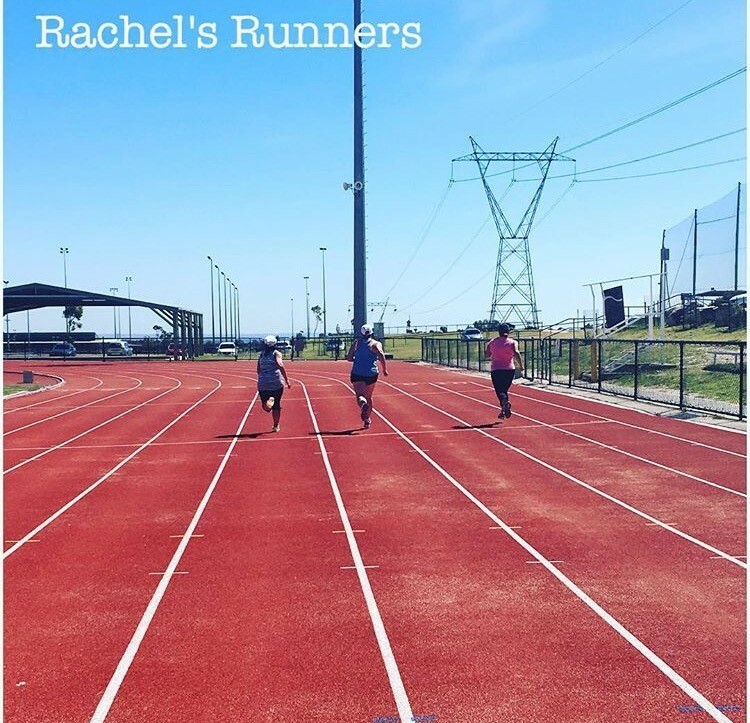 At Rachel’s Runners we are great at fighting excuses! We have group sessions 6 days a week, with something for all fitness levels and running abilities. If your daily routine prevents you from joining us, we have online coaching options too. We run in the rain, the cold and on hot days, plus we have an online group for networking and making connections to help keep you accountable.